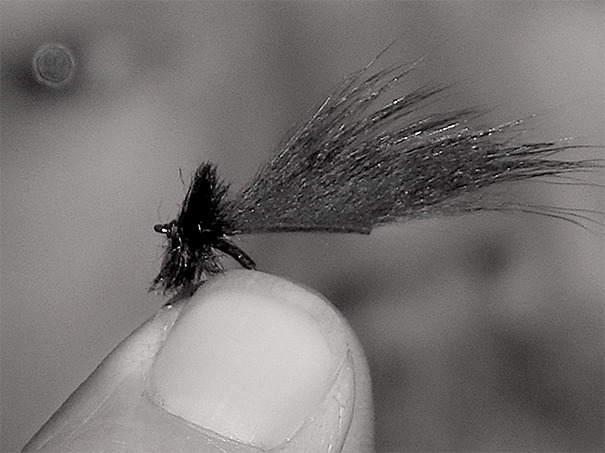 Leeches are an important part of a trout’s diet, especially in high water conditions. Similar to worms, leeches are swept off the river's edge and bottom, supplying an easy, non-escaping food supply for the fish. While some leeches are large, exceeding one inch in size, there are just as many that are less than an inch long. This makes the common two-inch leech patterns unproductive in many circumstances. I designed the Mayer’s Mini Leech to match the small freshwater leeches that trout feed on in freestone rivers, tailwaters, and still waters. With the micro pine squirrel attached only near the eye of the Tiemco 2488 #14,16 hook, the extending material will constantly move in addition to the ostrich herl collar and a krystal flash body secured with 8/0 UNI thread for a little shine as it drifts and wiggles. 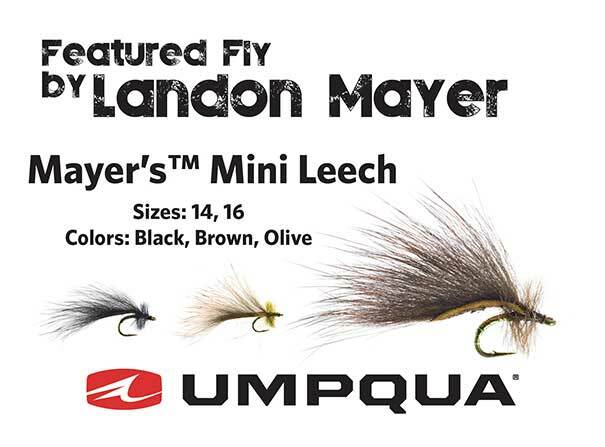 This fly is also versatile in different disciplines: you can dead drift it as a nymph, swing it as a nymph, trail it behind a larger streamer using a strip retrieve, or even hang it below a hopper. The constant pulsating and undulating action matched with the tapering slim-to-thick profile of a leech will fool many quality trout, bass, and carp. It is my go-to pattern for landing large trout in the tight quarters of undercut banks, around structure, and at the head of a drop-off or riffled run.